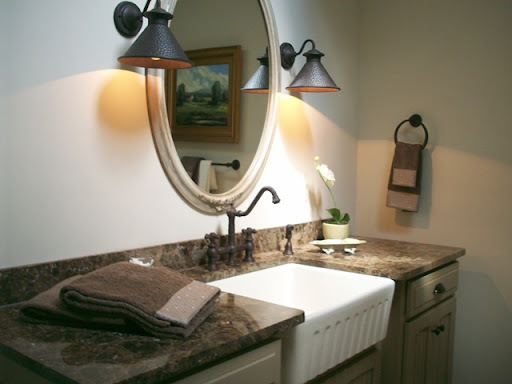 The Granite Gurus: FAQ Friday: Farmhouse Sink in the Bathroom? 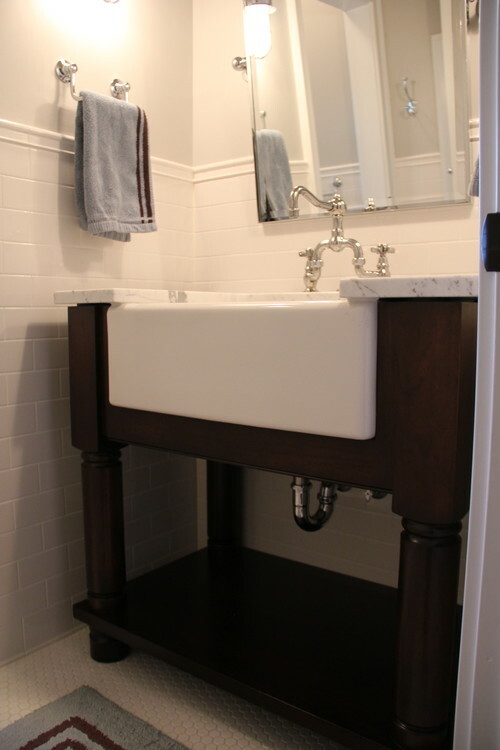 FAQ Friday: Farmhouse Sink in the Bathroom? 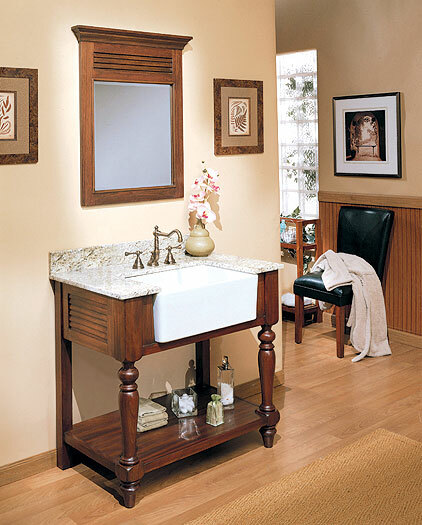 "I follow you on Pinterest and recently saw that you pinned an image of a bathroom vanity that had a farmhouse sink. Is this a thing? I've honestly never seen it before, but I think I like it. I'm going for a modern country house in my remodel and I think it would look cool in my kid's bath. What do you think?" Thanks for the question Anne. I like the look of it, especially if your style is modern country. 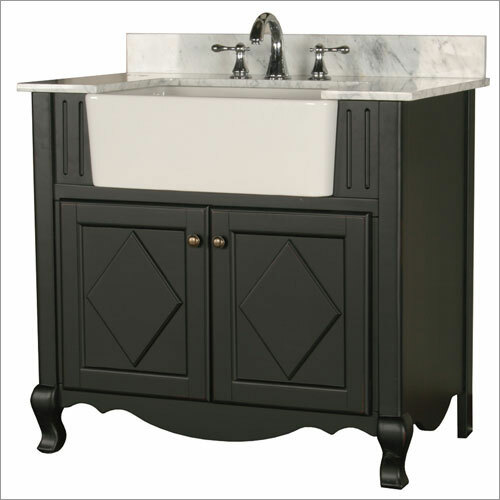 I would assume the functionality of a farmhouse sink would be great. I love a big sink in the bathroom. In fact I try to steer people away from tiny sinks whenever I can. You could wash a small dog or bathe a child in one of these sinks and I think that may be pretty darn handy!